This 34mm. 1956 stainless steel TUDOR Oyster Prince 34 is a very early variation of the TUDOR TUXEDO; having a less commonly found “Explorer” style dial. This once black (original) dial has fabulously aged to a “Havana” brown tone-AMAZING! The hands are original. 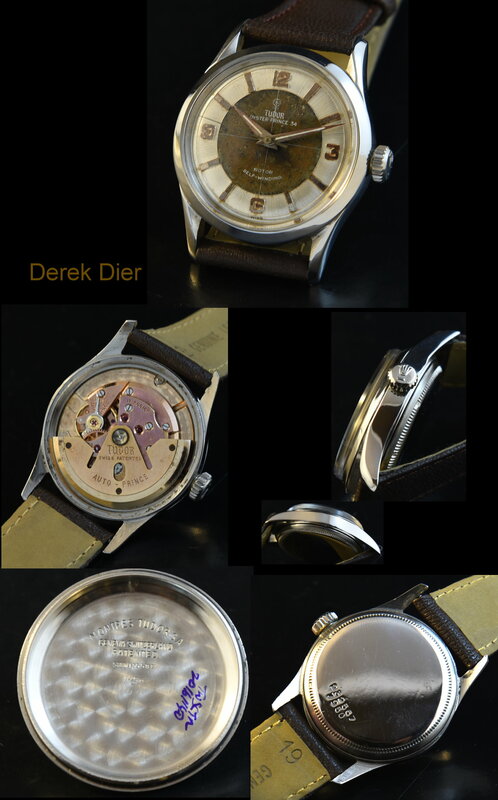 The fine automatic caliber 390 movement (also found in the Tudor Submariner) was just cleaned and accurate. 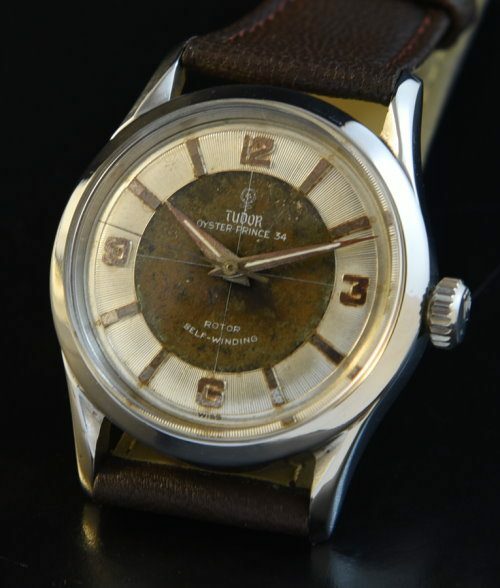 This vintage TUDOR watch is hard to find. Only $1595.